According to the report of Human Rights Activist News Agency in Iran (HRANA), Ehsan Mazandarani, Jafar Azimzadeh, Maryam Naghash Zargararn, Mohammad Sediq Kaboudvand, Rasoul Razavi, Heshmatollah Tabarzadi, Mohammad Abdollahi and Ayat Mehr Ali Beygloo are still on hunger strike in Evin, Rajaee Ahahr, Uromyeh and Tabriz prisons in protest to their situations. The physical condition of some of them has deteriorated. Jafar Azimzadeh imprisoned labor activist is on the thirty fifth day of hunger strike in protest against “repression of activities of workers and teachers by the security charges”. The imprisoned labor activist has been transferred to hospital due to the deterioration of his condition at least 3 times and was returned to prison without maturity and without treatment. Mr. Azimzadeh, imprisoned labor activist was taken to Shohada Hospital on June 1, 2016, following the deterioration of his health condition and “an approximate conking of kidneys”, but after 4 hours of waiting, he was returned due to the lack of specialists. It is said that despite the order of the prosecutor of political prisoners, sabotage has been carried out at his transfer and hospitalization. Jafar Azimzadeh, secretary of the board of the Free Trade Union of Workers in Iran was sentenced to six years imprisonment and two years deprivation of ‘activities in cyberspace and the media and the press’ by the Revolutionary Court in 2015. He is held in ward 8 of Evin prison. Mohammad Sadiq Kaboudvand, imprisoned journalist and head of the Kurdistan Human Rights Organization, who, despite suffering from different and serious diseases, has gone on hunger strike to protest against the new case being made against him, since May 8th, following deterioration of his physical condition was transferred to the hospital twice. HRANA reported on June 1, 2016 that the priority of all tests and medical procedures of Mohammad Sadiq Kaboudvand, imprisoned journalist is focused on the sharp reduction of his blood potassium. Mohammad Sediq Kaboudvand has been arrested and imprisoned since July 1, 2007. He was tried in the Revolutionary Court in Tehran with charges of acting against the national security through funding and managing Kurdistan Human Rights Organization, and was sentenced to 10 years imprisonment and for propaganda against the Islamic Republic of Iran, he was sentenced to one year imprisonment so he has been sentenced to a total of eleven years imprisonment. The sentence of 10 years imprisonment for funding the organization, was confirmed by Branch 56 of the Appeal Court of Tehran province. Ehsan Mazandarani, imprisoned journalist has also gone on hunger strike since 23 days ago to protest against his detention and the way of investigating his case since entering ward 2-A of Evin prison. He is now in ward eight of Evin prison and was sentenced to seven years in prison by a primary court. Maryam (Nasim) Naghash Zargaran, political prisoner of women’s ward of Evin has also gone on hunger strike in protest to the lack of attention to her diseases, her case and opposition to her requests of parole and furlough since May 25, 2016. The Christian was urgently taken to the hospital but was returned to prison without treatment in a state of unconsciousness on May 29, 2016. According to Hashmatullah Tabarzadi’s family, the political activist who was arrested by security forces has been transferred to Evin prison. He went on a hunger strike to protest against his detention. 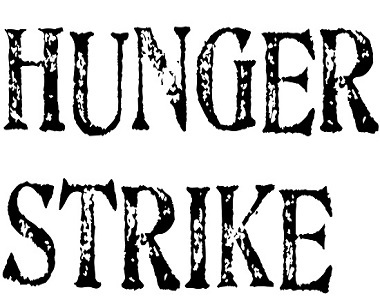 The exact date of the beginning of his hunger strike is not known yet. Kilometers far from the capital, Rasoul Razavi Turkish activists is on the fourteenth day of hunger strike in Tabriz Central Prison, protest to his detention and his trial. The prisoner announced that the end of the hunger strike is a matter of canceling the verdict by branches 2 and 3 of the Revolutionary Court in Tabriz and having a quite open and fair retrial. Despite the condition of the prisoner, he has so far not been taken to the hospital. On the other hand, in the central prison of Tabriz, Ayat Mehr Ali Beygloo has gone on hunger strike since June 1, 2016 in support of Rasoul Razavi due to the failure of the authorities in addressing his demands. Ayat (Yourush) Mehr Ali Beygeloo, who has several arrests and a hunger strike in his record, now is serving his eight-years-in-prison sentence in Tabriz prison. Mohammad Abdollahi, death row political prisoner in Central Prison of Orumiyeh whom was warned about his sentence, has gone on an unlimited hunger strike to protest to the “unjust” verdict and the way his case was handled since May 29, 2016. It should be noted, Arash Mokri and Mohammad Amin Agoshi had also announced hunger strike, last month. But the continuation or the end of the hunger strike of these two prisoners is not known.